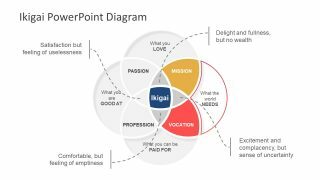 The Ikigai PowerPoint Diagram is a 4 element Venn Diagram template of Japanese concept for self-motivation. The Ikigai means Reason-of-Existence to make life worthwhile. This concept is comprised of four elements that are the source of value in a person’s life. 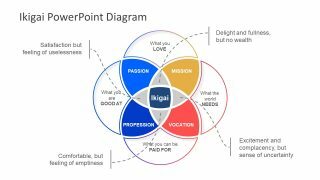 The Diagram of Ikigai displays an intersection of these values to express the emotions, effects, results, etc. 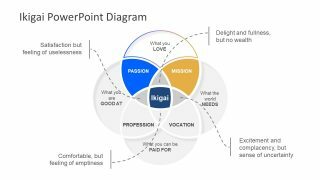 The PowerPoint template of Ikigai provides an editable diagram layout of colorful circular shapes. The template presents Ikigai in the middle i.e. core of self-motivation. While four motivating elements include Passion, Mission, Vocation, and Profession are the result for intersections. 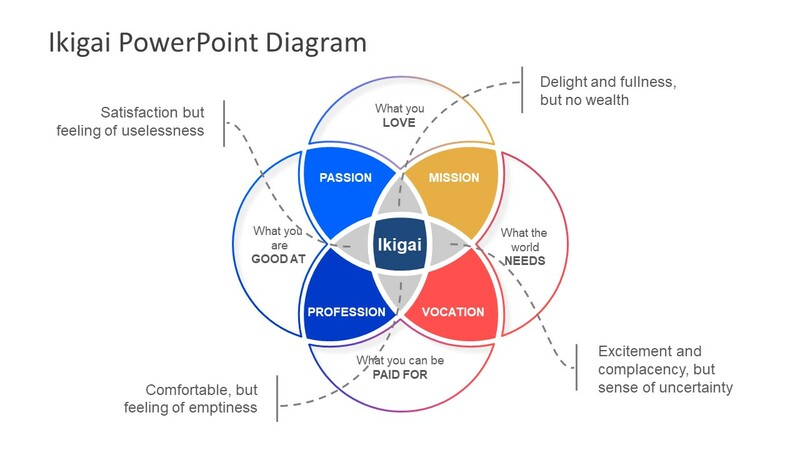 The Venn diagram illustrates a relationship between these elements where Ikigai is the center of all four intersections. Therefore, Ikigai is the state of ultimate self-worth realization. 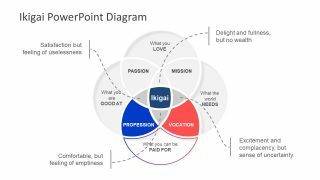 The Ikigai PowerPoint Diagram will make it easier to understand individual needs in a circular correlation of characteristics. 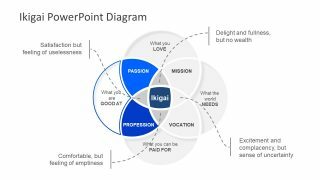 This template of Ikigai contains five slides out of which, first layout presents an overview. While subsequent four slides highlight relationship of two motivational values as a part of one circle in Venn diagram. 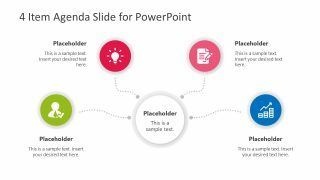 Although this presentation template includes all useful descriptions against each segment. 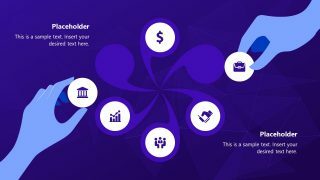 The users can alter this text according to their presentation requirements. The PowerPoint template of Ikiagai methodology presents curve lines for labeling. 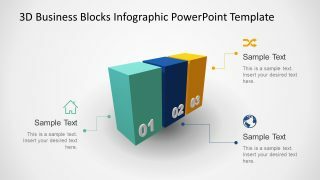 Insert infographic clipart icons in diagram for more graphic visual. 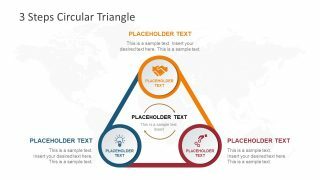 For instance, use metaphors to represent passion, mission, profession, and vocation in diagram. This template of self-motivation is ideal for self-development presentations. The professional trainers can use this concept diagram as a tool to encourage audience in finding life goals.